In 2013, “selfie” was officially added to the Oxford Dictionary. It refers to a person taking a photo of themselves with their own phone or camera. The idea of taking a self-portrait isn’t really new. It seems since the beginning of time we’ve felt the need to capture ourselves in some way – cave drawings, painted portraits, photo-booths. And now with the reverse camera phone, we can act any time the urge takes hold. But it doesn’t stop there. Simply taking our own picture isn’t complete until its shared with our peers. The 1860s saw huge popularity for the sharing of cartes de visite – little photo cards. And today technology has allowed us to take multiple self-portraits, hang them on our virtual walls and wait for the responses to come rolling in – do others see me how I want them to? Simply logging into any social media account will show how popular selfies are. There aren’t many who can honestly say they’ve not indulged at one point or another. of storage had been taken up (it would take 424 years to swipe through that many photos). 24 billion of those photos are labelled as selfies, and that’s only on one platform, it doesn’t include the hugely popular Snapchat, lnstagram, twitter … and the list goes on. Many psychologists suggest that selfies are another way for humans to understand ourselves. A bit like a toddler practicing expressions in front of a mirror. But that doesn’t explain our need to share these pictures with the world. 1. Self-promotion. Telling others how we want them to see us. Diefenbach explains it as “a self-advertisement, plying the audience with one’s positive characteristics”. 2. Self-disclosure. Trying to get others to understand life from their point of view “sharing a private moment with the rest of the world and hopefully earning sympathy”. 3. Understatement. Some people aim to portray themselves or their achievements as unimportant. Interestingly, people see the photos they post themselves in a different way to the photos posted by others. The same study found that when it came to their own selfie taking, respondents considered theirs were only half committed and ironic and not as serious as everyone else’s. 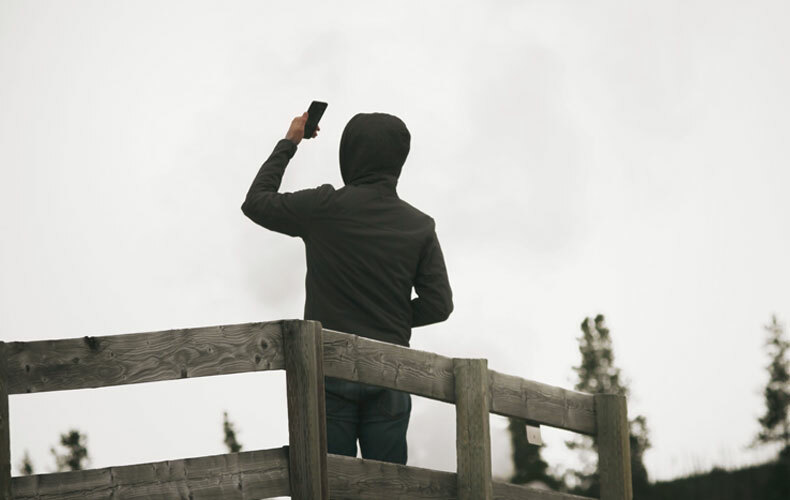 What’s more, 82% would prefer to see more usual pictures on their social media rather than selfies, and 62-67% believed selfies encouraged negative outcomes like creating an illusory world and that they were a threat to self-esteem. Following this evidence, it would be easy to think selfies are going to soon become outdated. But, perhaps because people view their own behaviour in a more positive light than others’, selfie taking looks like it will be sticking around for a while yet. • Augmented reality selfies – technology will allow us to put our selfie videos on top of other objects or places, to make it appear like we’re there. (eg a video selfie making it look like we’re at the beach, when that’s not really the case). • The selfie economy – there’s a good change that augmented reality selfies will create media opportunities for businesses, blurring the lines between reality and online even more. While the psychology behind selfies isn’t all that new, how changing technology will continue to shape our behaviour will be interesting to watch. In fact, someone is probably developing an app for that right now.